A team led by an Indian American student has been chosen by NASA to have their CubeSat — a mini research satellite that detects cosmic rays — flown into space on future missions. The researchers from the Yale Undergraduate Aerospace Association (YUAA), led by 21-year-old Keshav Raghavan, are among the 16 teams across the country whose CubeSats will be flown into space on missions planned to launch in 2020, 2021 and 2022. Students designed the satellite over the course of four years and received the launch grant through NASA's CubeSat Launch Initiative competition. According to NASA, BLAST is a scientific investigation mission to map the distribution of galactic cosmic radiation across the night sky. The satellite will identify and count alpha particles and beta particles in the rays, and measure the radiation energy around Earth. BLAST will contribute to the ongoing search for the origins and nature of these rays, which will provide insight into the origins of the universe. Typical CubeSat projects cost about $30,000, while the one developed by the team will cost around $13,000 to $20,000, according to Andrew Krzywosz, co-president of YUAA. Once BLAST, a cosmic ray detector, goes into orbit, it will collect data about particles travelling to earth from distant supernovae, Raghavan said. "Building a CubeSat and launching it into space is an ambition YUAA has had for quite a while. The founding members in 2011 had it as a goal in the back of their minds, but at that time, it was totally beyond our capabilities as a club," said Jonathan Li, co-president of YUAA. The team said that as the satellite is 'smaller than a loaf of bread,' it costs orders of magnitude less than large-scale satellites. The work, so far, has culminated in a viable prototype that the team anticipates will be ready for launch in slightly over a year. CubeSats are miniature satellites intended as a standard, inexpensive design that can easily fit alongside larger satellites aboard launch vehicles. 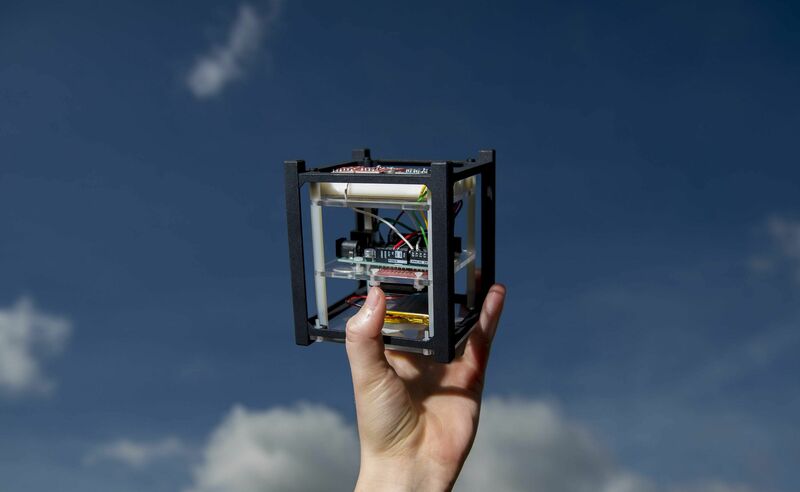 The CubeSat model has given student groups, hobbyist organizations, and research teams operating with limited funding or experience unprecedented access to space. CubeSats are built from a modular structure of 10x10x10cm cubes and feature a wide variety of commercially available off-the-shelf components designed to fit the structure from various manufacturers.